Evolution’s Two-Way Street. Scientific American discusses that evolution may be a two-way street: not only have humans adapted to the environment, but the environment has also adapted to human evolution (and not just in the last 1,000 years). How Will Human’s Evolve in the Future? IO9 speculates on the history of human evolution. I am still partial to Julian May’s vision, based on Teilhard de Chardin on the future of human evolution. 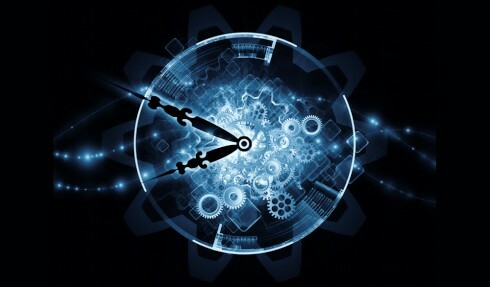 Resetting the Theory of Time. NPR Science Friday had a great interview with Lee Smolin, theoretical physicist, on the meaning of time. I still can’t get my mind around what happens “before” time was created (it is a contradictory statement). Dog and Human Genome Evolved Together?. From National Geographic, a new study from the University of Chicago argues that dogs were domesticated 32,000 years ago (older than most current estimates) and that they evolved together. As someone with musophobia, I thought the explanation for the symbiosis between humans and dogs and cats was as simple as humans needing someone to take care of the rodents in the caves. Happy Memorial Day weekend to everyone in the United States! This entry was posted in Uncategorized and tagged Metanexus, Scientific Potpourri. Bookmark the permalink.